We're happy to announce you that a new version of SJ K2 Categories Full has been released. This module helps you in showing your categories more beautiful and useful to visitors. By using this module, your K2 categories will show necessary information with many exciting effects. 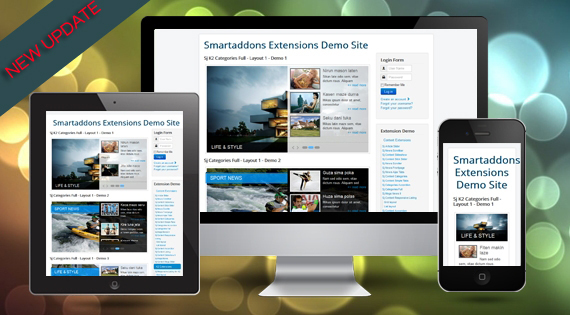 In this new version, your module becomes more powerful than ever with responsive support function. It's also been fixed issue as well as upgraded some new functions to work better. 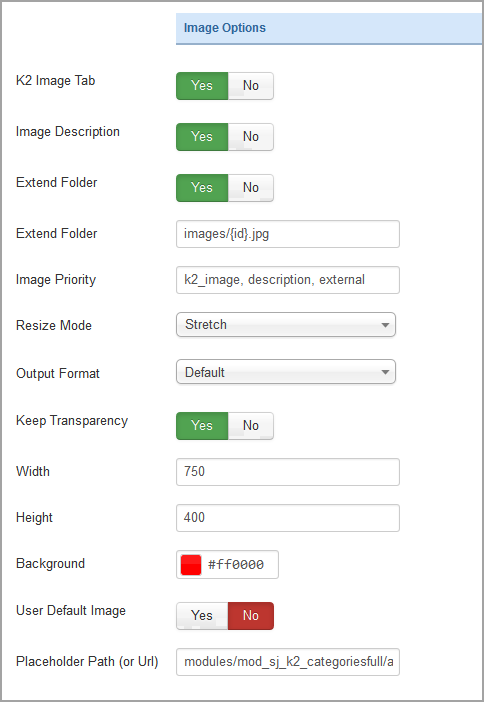 The new version has remarkable improvement things in Image Options that is added more image options in the Admin Panel namely, allow you to choose extend folder to get category image and item image, select a style for resizing category image and item image. Hope you will enjoy these new features! And of course, we are looking forward to receiving your feedback to improve the job. Let us know what expected things you wish for the next version, we will try work hard to make that come true. You can leave a comment below this article or contact us. Note: Always back up your site before starting the update process.